Often dad scolded when child do not eat guar beans. Now we know its properties and it make sense that why we scolded. 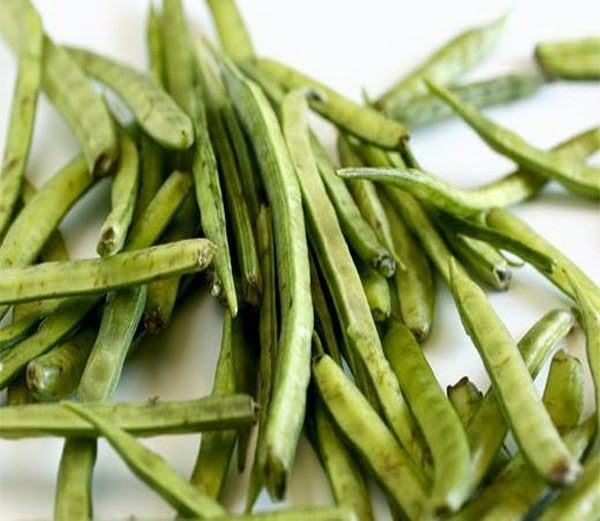 One of the major vegetables eaten at home guar bean is cultivated in India. It is extensively used in every Indian kitchen. Many delicious dishes are prepared by this. Do you know it is full of many medicinal properties? Let us know its properties. Guar beans has protein, soluble fiber, many vitamins such as vitamin K, C, A and good amount of carbohydrates. In addition, phosphorus, calcium, iron and potassium are also found. It does not have cholesterol or fat. It can be considered a strong tonic. Especially beneficial for diabetics: It has glayko nutrients which are very beneficial for diabetic patients. The dietary fibers are extremely helpful to digest food. Calcium, iron and potassium are found in beans which are helpful in strengthening bones. Physically weak person should eat guar beans daily. Better for the heart: Dang-Gujarat tribal dry the beans and make powder by crushing it. They make chutney adding tomato sauce. Diabetic patients get much advantage by eating 80 days at least twice in a day. If diabetic patients chew raw guar bean then they get too early benefits. Raw beans are considered very important for health. According to herbal expert of tribal areas, this vegetable is good for heart patients. Modern science also consider that fiber maintain the cholesterol level. For asthma patients: Boil guar beans and give it to the asthma patients. In many areas, asthma patients are advised to chew the raw beans. Tribesmen, Patalkot, believe that sank bean seeds overnight and crushed it next day. Apply it on swelling, joint pain and irritation. You will find quick relief. For herpes, eczema and itching: Take 4 tablespoons juice of leaves and crushed 3-4 garlic. Mix them and apply it on herpes, eczema and itchy organs. Grind the raw beans and add tomatoes and green coriander and prepared chutney. You must have to consume daily. It improves the vision and glasses get off by taking several times. Good for wound: Boil raw beans and sank legs in the water for a while. Cracked feet and soles become fine. Its seeds are considered a good animal feed. In the tribal areas dried beans are given to the animals adding mustard oil. It is believed that it increases milk. If women do not breastfeed then they can eat guar beans for few days and milk can come. Burned the guar bean and add mustard oil and make a balm. Apply it on the wounds of animals. They will get relief.